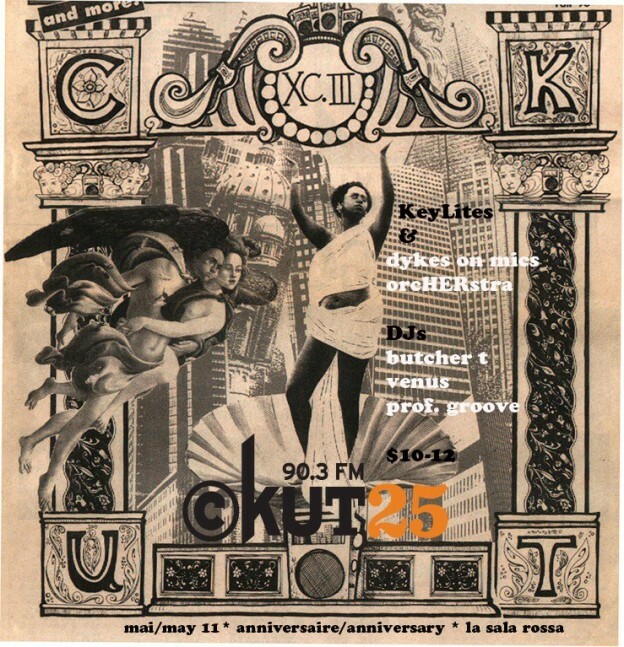 Mark your calendars people, CKUT is celebrating its 25 years of existence at La Sala Rossa this May 11th! Featuring the freshest in R&B/Soul music, Montreal’s Key Lites will be performing, along with the Dykes on Mics OrcHERstra. A few of our esteemed DJ’s including Butcher T, Professor Groove, and the Venus Collective will be serving up ice-cold tracks all night. There will be words of love from many programmers, past and present, in celebration of this night steeped in history. On top of all this, we’ll have a special radio transmitter listening booth and a photo booth to capture all of your lovely faces. Also, all the cake you can possibly eat! CKUT is 25!! Hell yes! This entry was posted in CKUT programming on May 1, 2013 by Bryce.